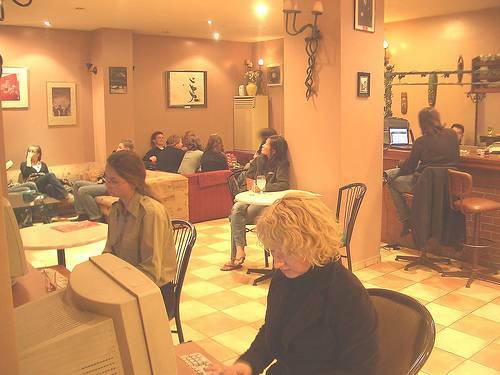 Since Cordial House opened its doors to budget travellers it has rapidly gained a reputation as the Istanbul's No. 1 economy class hotel accommodation for quality seeking budget travelers. Facilities include Open buffet breakfast. Efficiently run tourist information centre. Use of nearby Turkish hamam at reduced price. 24-hour discounted door to door cab service. Color satellite and cable TV. 24-hour reception and concierge service. Half-board accommodation for groups is. The Cordial House Hotel offers an unbeatable combination of economically priced rooms and a perfect location for quality seeking budget travellers. We provide comfortable accommodation in a clean, safe and friendly atmosphere with a superb location in the heart of the old town. Cordial House is close to all of the main attractions and also to trams, buses, trains and airport shuttle stops. Which ever way you arrive into Istanbul Cordial House is easy to get to. We believe in more then just a bed. Open buffet breakfast. Efficiently run tourist information centre. Use of nearby Turkish hamam at reduced price. Branch of a cheapest supermarket chain is nextdoor. 24-hour discounted door to door cab service. Safe box. Direct dial telephone. Color satellite and cable TV. Half-board accommodation for groups is available on request. Cordial House has a complete range of rooms available, with and without bathroom facilities. Our room rates are designed for the budget travellers that want clean, quality accommodation at a reasonable and affordable price. At the Cordial House, the rooms are clean and tastefully decorated. 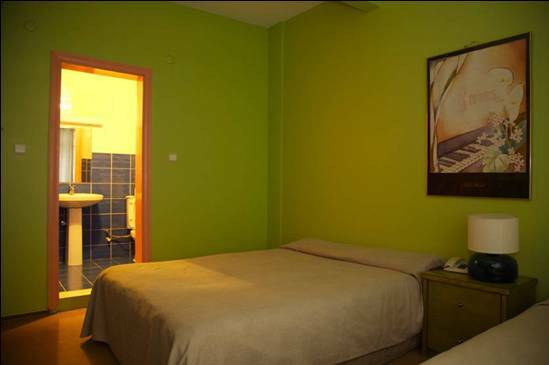 The hotel offers 40 single, double, twin, triple and family sized rooms with private bathroom. The accommodations are all equipped with comfortable beds, fan, colour TV and telephone. Rooms are heated with a central heating system. 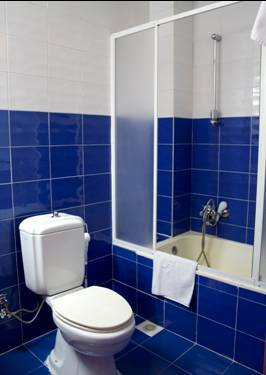 All of our rooms have a private bathroom with shower (24hrs hot water) and all rooms are full of light and comfortable just for your health. 24-hour room service is also available. For those who have never visited Istanbul is probably the most central area to stay in. Walk out the door and down two blocks for a stroll through the Blue Mosque or the Topkapi Palace or perhaps you would prefer to walk to the Grand Bazaar and engage in a festival of shopping. You are even in within walking distance of the Bosphorus. 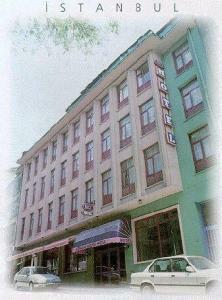 Come and enjoy your stay in Istanbul in an economical and cordial fashion. 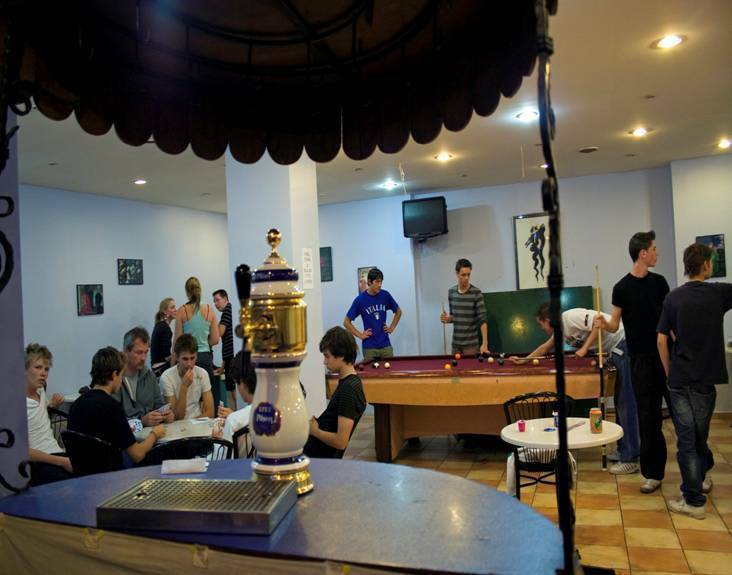 Cordial House is also in close proximity to trams, buses, trains and airport shuttle stops. Which ever way you arrive into Istanbul, Cordial House is easy to get to. Some of the major attractions one images as part and parcel of Istanbul are within walking distance. Interland Ferry Lines - 1. 2 km. Taksim Square - 3 km. Modern Art Museum - 3 km. Dolmabahce Place - 4 km. Suleymen Mosque - 1. 2 km. This restaurans just next to the hotel where you can enjoy and taste the most delicious tradational Turkish meals like kebab,doner etc. A very nice restaurant 40 metres away from the hotel. The restaurans is located just accros from Cordial House. You can see different spectacular dances as you have your lunch or dinner. Istanbul and sea surrouns it are rich with different fish types. This restaurans provides you taste any kind of sea foods in a very authentic atmosphere. Cancellation by phone or fax: 48 hours before date of arrival, othrewise no show will be charged one night of booking. Cordial House Perfectly located in Sultanahmet area, it is just two minutes walking distance from Grand Bazaar, St. Sophia, Blue Mosque, Underground Cistern and many of the shops and restaurants. Walk out the door and down two blocks for a stroll through Blue Mosque or Topkapi Palace or perhaps you would prefer to walk to Grand Bazaar and engage in a festival of shopping. You are even within walking distance of the Bosphorus. In the airport terminal, follow the signs to the Metro - Havalimaniairportstation, located in a subterranean passageway between the Domestic and International terminals. Board a Metro train bound for Aksaray, but get out at the Zeytinburnu station, the 6th stop. Exit the Metro station, turn right. You will see a sign, Sirkeci Yonune Gider or *Sirkeci This Way*, go down the steps to the Zeytinburnu-Eminonu tram and hop aboard. If you need directions, ask for Tramvay nerede - trahm-vah-yee NEH-reh-deh, but you really cannot get lost here. Because this is the western terminus of the tram line, you have a better chance of finding an empty seat than if you transfer to the tram at Aksaray. Also, Zeytinburnu - zey-TEEN boor-noo is an easier, safer and less confusing station. Ride eastbound to Sultanahmet, the 16th stop, the recorded station-stop announcement says sool-TAHN-ah-meht, and also BLOO mosk in English. Get out and you will be on Divan Yolu at the northeastern end of the Hippodrome with the Blue Mosque clearly in view. Transportation: Rental cars and shuttle services are available from the airport. Guests having an accommodation account of at least 80 Euro will receive free airport pick up. Otherwise private pick up is 15 Euro PER CAR. You can travel from Istanbul Ataturk Airport to Sultanahmet, the center of historic Istanbul completely by public transport in about one hour. A taxi might cost around 13 Euro during the day, 50 percent more in the middle of the night. Nearest airport: Ataturk International Airport - 13 km.